Situated in the narrow lanes of the Tibetian Colony near Majnu ka Tila, AMA Cafe is a multi-storey cafe that serves some of the most delicious cakes, authentic Himalayan delicacies, and an amazing breakfast menu. 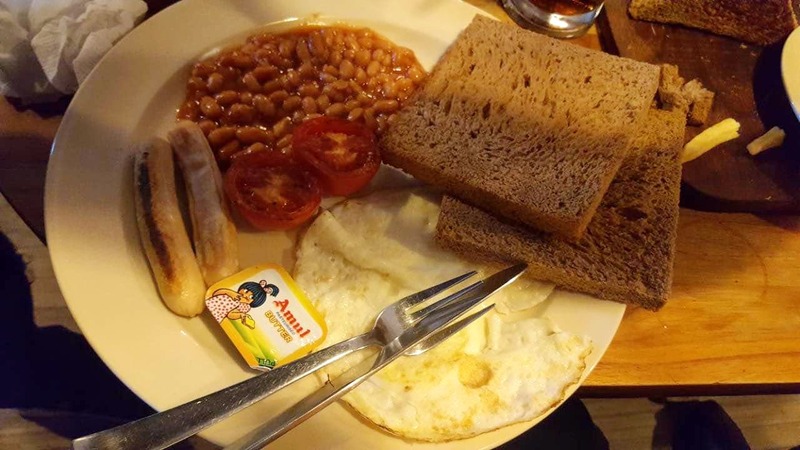 Make sure you try their American and English breakfast options. The cold coffee is as good as a Starbucks coffee but costs INR 100 only. Way too economical than a Starbucks. The food is freshly made. The staff is friendly and the service is excellent. Usually filled with happy people, the cosy vibe and vibrant ambience makes this cafe a must-visit. Don't worry if you are going with a big group because they have ample space. Big Group, Kids, and Bae.